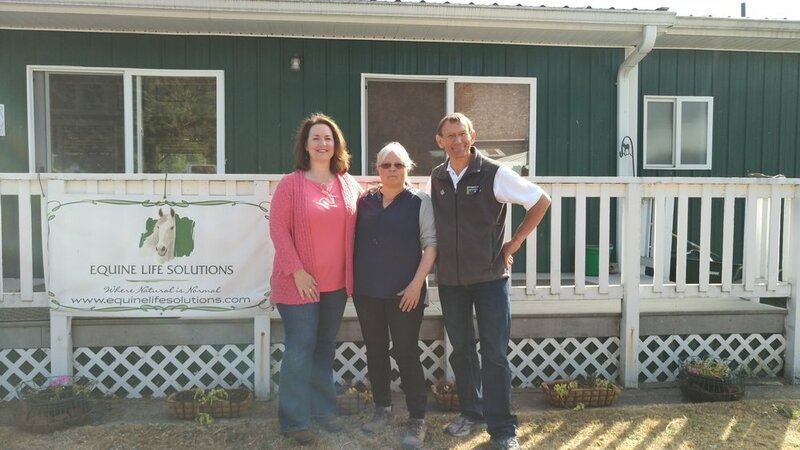 This June we had the opportunity to complete several best management practices (BMPs) at the Holly Farm in Bothell, WA in the Little Bear Creek watershed. Robin Smith, the Owner / Instructor / Chief Horse Lover, contacted us in the fall of 2016 to see about containing the extra water at her facility. 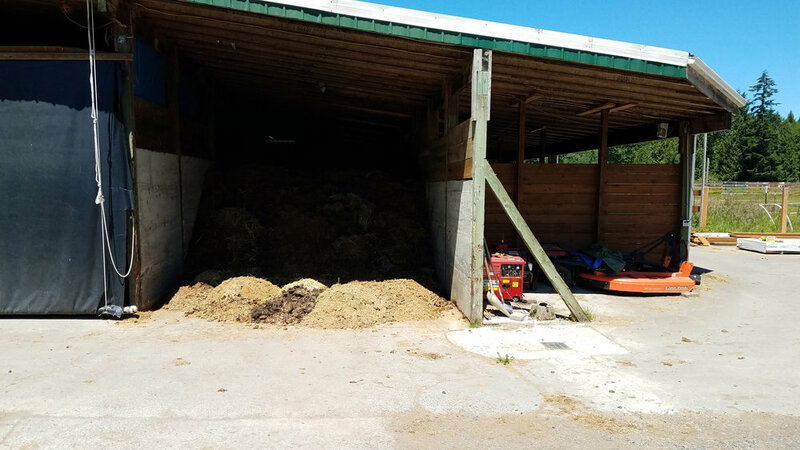 They had an especially problematic area, where runoff from an access road was running into a manure bin and then back out to a field before entering a nearby stream. She worked with Carrie Brausieck and Derek Hann from the district to come up with a plan to install a rain garden that collected the manure contaminated water and filter it. In addition to the rain garden, the farm installed 4 tanks to harvest up to 11,100 gallons of rainwater from the riding arena roof. This will be used for dust management within the arena, as well as other watering purposes around the farm. Dan Dean is the grounds manager at the farm and did all the work of constructing the cisterns and coordinating with a contractor to install the rain gardens. Derek was on site a few times to talk him through the process, but Dan did most of the heavy lifting. This rain garden at Holly Farm is the second one we’ve completed in an agricultural setting. The first was at Qualco in Monroe back in June - http://snohomishcd.org/blog/2017/6/26/the-biggest-rain-garden-weve-ever-built. Want to be like Robin? Learn more on our Sound Horsekeeping page and set a goal of being a Sound Horsekeeper!